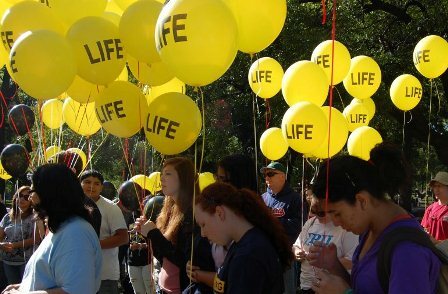 Promoting life, one balloon at a time – 40 Days for Life-Dallas Youth Day tomorrow! Eight years ago, Brother Chad McCoy of the Canons Regular of St. John Cantius . . . called around to see who could take part in a trip to Washington, D.C. for the annual March for Life. He had no idea that it was the beginning of a new chapter in Chicago’s pro-life movement and the birth of the St. John Cantius pro-life teen group in which a significant role is played by Chicago Crusaders for Life. Experience the power of youth this Saturday at the 40 Days for Life-Dallas Youth Day, featuring a prayerful balloon demonstration followed by the Midway Picnic with food, music and the powerful testimony of abortion survivor Angela Balderaz. The demonstration begins at 11:30 a.m. in Harry S. Moss Park. (Youth under 18 must be accompanied by parents or safe environment-cleared chaperones). Click here for more info. ; or visit racheldallas.org. All inquiries are kept strictly confidential. **Plus on October 18 at 6:30 p.m., St. Rita Dallas Physicians Guild is sponsoring a Diocesan White Mass & Reception for all health professionals. Click here for more info and to register. Don't miss our seventh annual Christ Child Christmas Gift Market & Luncheon. Enjoy this festive event benefiting the Catholic Pro-Life Committee and local Catholic pregnancy resource centers Birth Choice of Dallas and White Rose Women's Centers. The unique gift market is open to the public from 9 a.m. to 2 p.m. (with a new silent auction), and the luncheon, featuring Father Jason Cargo, begins at 11:30. 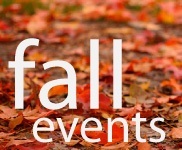 For more info and to make your luncheon reservations, visit prolifedallas.org/luncheon. You don’t have to attend the luncheon to shop the market.